November 17, 2012, marks the beginning of my son’s loc journey. I am amazed by how quickly his hair is growing and at how beautiful his hair looks. 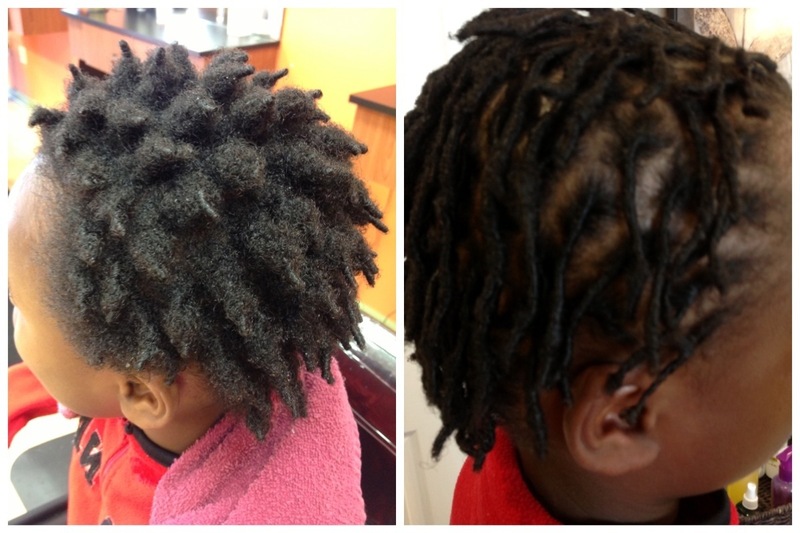 The above picture is his locs immediately after a shampoo AND after professional maintenance. Although football season has ended, basketball season is in effect. Work, laundry, cooking, and cleaning leaves little time for salon visits. So when KinHairitage Salon offered me a Sunday appointment for his hair, I jumped at the opportunity. My son, on the other hand, did not appreciate leaving Nickelodeon, the comfort of his bed, and his Sony PS3 game. “Mom, I don’t like doing this on Sunday!” “This” being getting his hair styled on Sunday. His appointment wasn’t until 11 a.m., so I thought that I was doing good. Apparently not. Anyway, Sunday worked best this week, so it is what it is. This entry was posted in Uncategorized and tagged baby locs, boys hair styles, good parenting, loc maintenance, locs, locs for boys, natural hair, parenting. Bookmark the permalink. My daughter feels the same way any day of the week…lol! Taking major time out for grooming is just a major downer for any 10 year old. So I so feel you on this one :)! They did a beautiful job on his hair!!! Yes. Vicki does a great job with his hair! Best of all, she is great with children. Thanks!